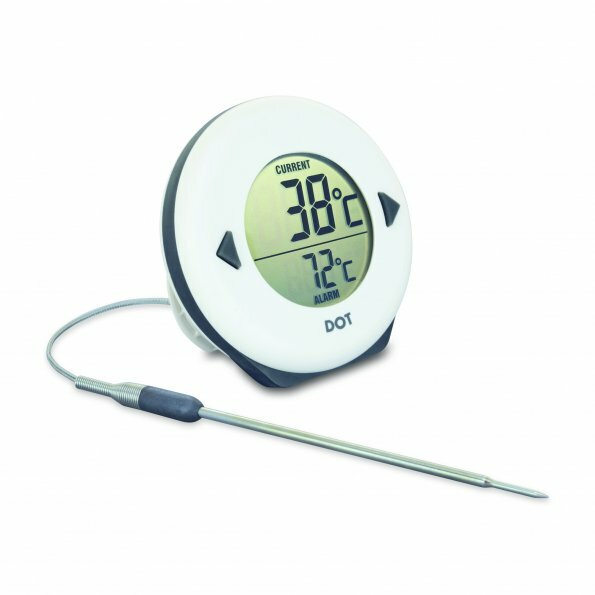 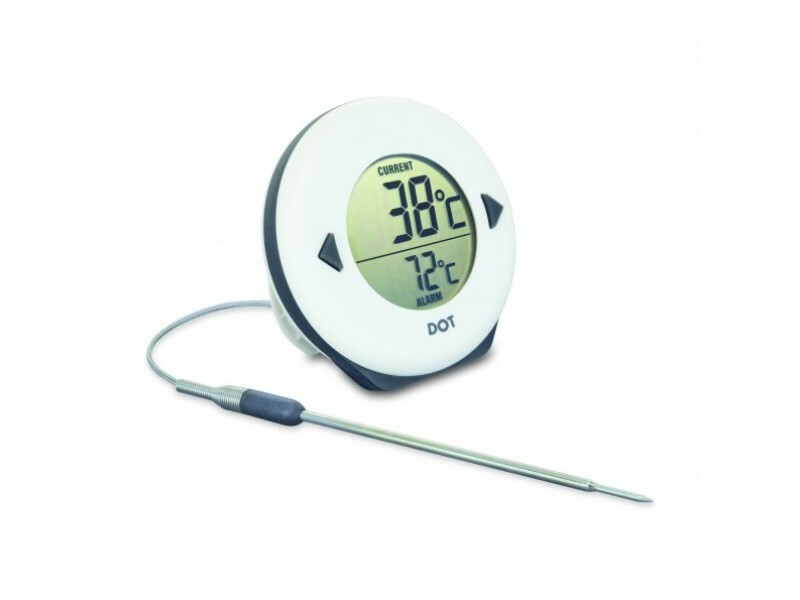 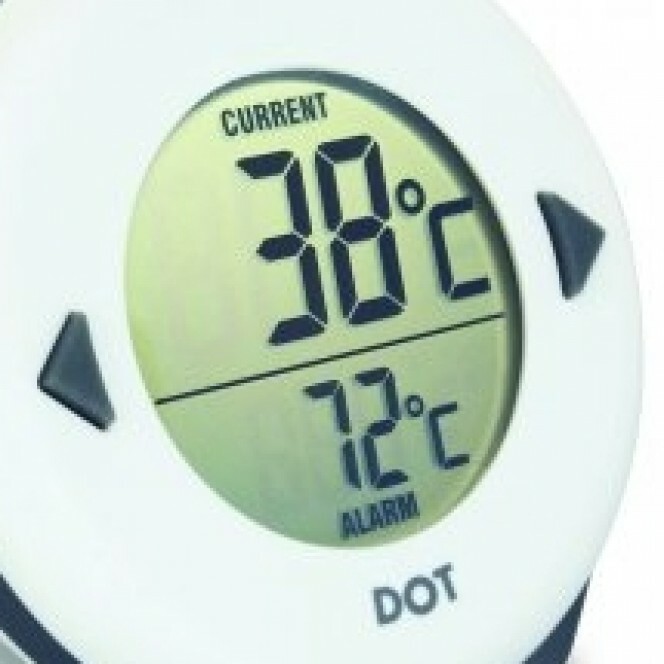 The DOT incorporates a large LCD display and loud 70dB audible alarm making it ideal for use in busy, professional kitchens. 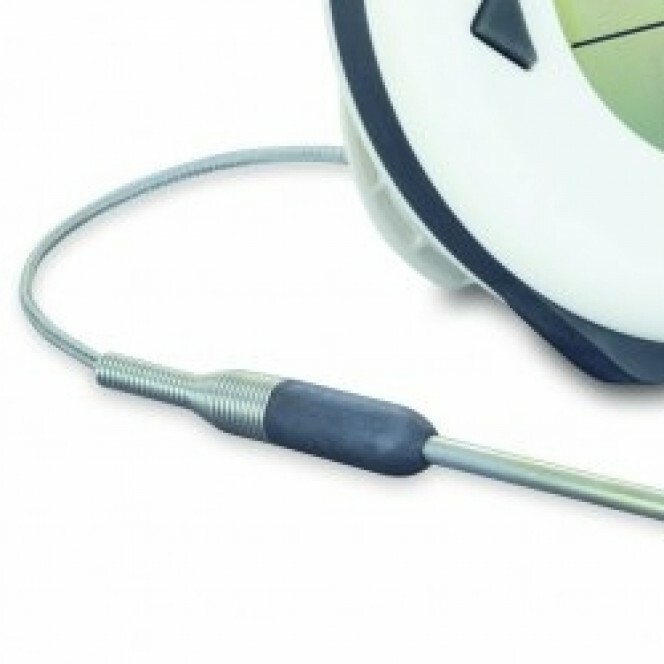 Each unit is supplied with a 114 mm penetration probe with a 1.2 metre stainless steel braided lead. 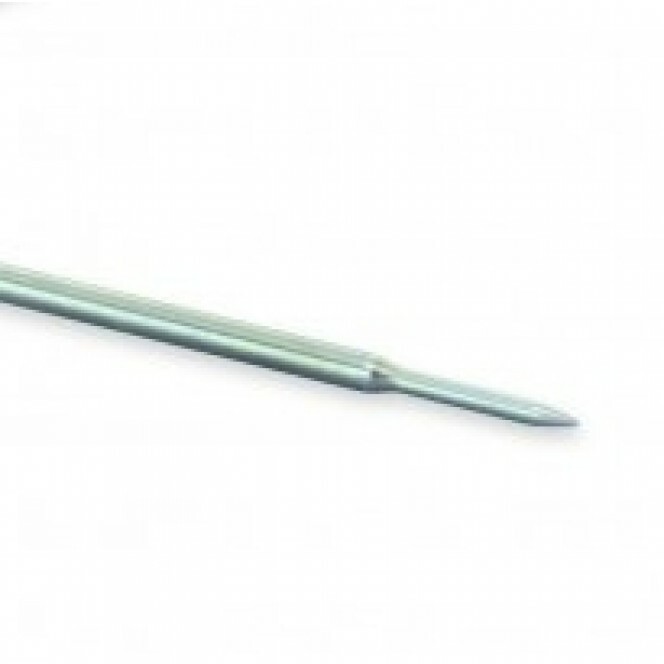 See below for full specification.